Grandma Liz gave Luke a Halloween pumpkin and asked that we take some pictures. Who would have that a pumpkin would be such a fun toy. Forget Elmo, forget cars, forget all the other toys. He loved tossing and rolling this pumpkin around and had such a blast with it. 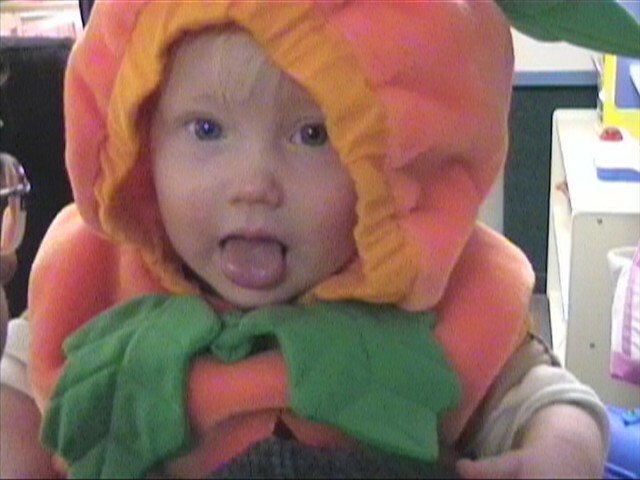 Then, just by chance we happened upon a pumpkin costume at the consignment sale so he was also one for Halloween.